Across the Devon area there is a number of companies that are able to provide you with the perfect pest control services to ensure that your problem is removed. AllPests- With years of expeirence in the business, we understand the important of being discreet, professional and reliable. 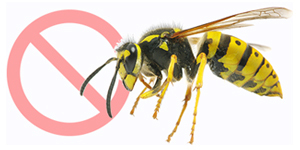 We aim to ensure that your pest problems are removed efficiently and safely. We understand that pests need to be removals quickly and discreetly, with this we use plain white vehicles to reduce attention. Sooner or later everyone is effected by pests, and needs some way of controlling them. From the simplest garden weed in the vegetable patch, to ants, beetles or even rats in the kitchen. 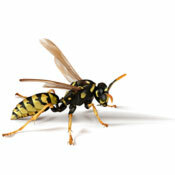 Pests can be annoying and sometimes dangerous to your health. However many of us know nothing about pest control and the problems or dangers involved, or the pesticides we use to control pests. That is why our Devon pest control experts are on hand to help. How can pests be safely reduced and their numbers controlled? How safe and effective are pesticides available on the market? Even in the pest world there is a chain of hierarchy and therefore some pests can be beneficial to help in the removal of other pests. Pests such as rats, ants, cockroaches, mice and flies can be common in houses. You may require an effective pest control method to prevent pests multiplying themselves in your home, which can include effective pest management, pest control and pest prevention. The first step in the control of pests is to find out exactly what your up against. Some pests (bacteria, animals) can be helpful to people, so it is very important to find out if your pest problem is harmful. The second step is to work out how much control is required to manage the pest problem. 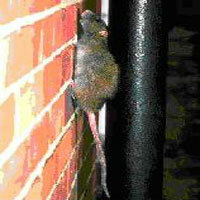 You may need the help of a pest controller specialist for this. 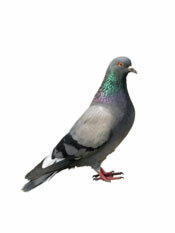 The third step is to choose the best available pest control for your needs. Again an Exeter pest extermination expert can help you with the best option for you. Chemical pest control methods are not recommended for use in and around the home or commercial properties due to the possible harmful and poisonous effects they can have on humans. One of the major drawback of this method is that it tends to need repeated treatments. If you decide to use chemical pesticides for pest control, the most important thing is choosing the right pesticide product. For any help with this contact our Devon pest killer companies. An effective way in controlling pests is with a biological method. This is the method of using a pest's natural enemy to control them. Spiders, centipedes, ground beetles and ants are some of the most beneficial bugs. This method is not harmful to people in any means and can be implemented effectively. For any help with pests our Devon pest controllers can help you, based in and around Exeter, Plymouth and Barnstable areas and traveling around Dorset, Somerset, and Cornwall. Cimex lectularius: wily, bloodsucking, nocturnal and attacking in huge numbers. The common bed bug has been a growing problem in the UK for the last twenty years. Bed bugs gained their name by the fact that they tend to live near beds (not in them) as they like to feed on human blood during the night when their prey is asleep. Although not strictly nocturnal, bed bugs are most likely to feed before dawn. They can not move very fast and contrary to popular opinion, they are not too small to be seen with the naked eye. In fact an adult bed bug will grow to be almost 5mm (0.2") in length. Which is quite easy to spot, especially considering that they do not move very quickly. 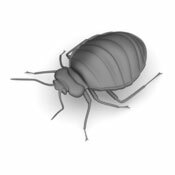 Although bed bugs do not constitute the same health hazard as fleas or some other household infestations, they do need to be dealt with by pest control experts. The bites of bed bugs are irritating and the first thing most people know of them is the desire to scratch. There is the danger of these bites developing secondary bacteriological infections and sufficient bites can lead to anaemia. While scientific research shows that bed bugs can pass infections from host to host, they don't in fact do so. Destroying an infestation of bed bugs is best left to professionals, simply due to the fact that bed bugs thrive in such large numbers. While the amateur can kill a lot of bed bugs, it is very hard to be sure to kill all of the eggs. This means that the infestation will come back within a couple of weeks. Two species of rat have inhabited Europe for centuries. Some pest control historians believe that the lighter, more agile, and longer tailed ship rat or roof rat (Rattus Rattus) has been around since at about the 7th Century, others say it has been here ‘since time immemorial’. 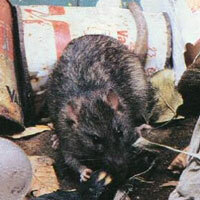 The date of the arrival of the heavier, more aggressive brown rat or sewer rat (Rattus norvegicus) is similarly disputed. Some say it first arrived with the return of the ships during the crusades in the 12th Century, others claim it turned up in the 17th Century. 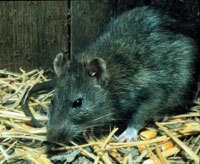 Gradually the ‘sewer rat’ displaced the ‘ship rat’ from our countryside, towns and cities, though colonies still survive in a few of our major port cities. You can see that names can be deceiving! The house mouse is believed to have come here from central Asia where it lived mainly on the seeds of wild grasses. The pest species is primarily the house mouse (Mus domesticus) and should not be confused with field mice, shrews and voles. • Places where they can live – Rats (R. norvegicus unless otherwise stated) and mice (M. domesticus unless otherwise stated) are highly adaptable and we have found nests in places as varied as oven linings and industrial freezers. 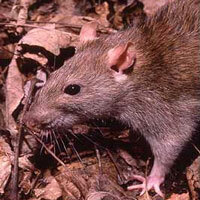 Rats will burrow 1-2m into the ground and live in compost heaps, deep litter and of course sewers. Mice can climb up breezeblock and rendering, telephone cables and curtains and can get through gaps no bigger than the thickness of a pen! • Diet – Rats need to drink water but mice can survive on the water content of stored grain (approx 12 -14%) without ever having to drink. A rat will take all its food (approx 30gm/day) from just one or two locations and will feed once or twice a night. A mouse will feed from as many as 50 different locations in a night taking as little as 1/10th of a gram from each. Very important in relation to bait treatments and cleanliness! • Reproduction – A female mouse can conceive 24Hrs. after giving birth and will produce her litter in 21 days. A litter will contain between 4 and 16 young. Young reach sexual maturity in 3 months. Theoretically then two mice on January 1st could become over 1,800 by Dec. 31st! Fortunately natural mortality rate can be as high as 90%. Rats usually produce between 4 -7 litters per year with an average litter size of 7-8. • The Hazards - Rats have brought us the bubonic plague and weil’s disease (both potentially fatal), and both species have been responsible for outbreaks of food poisoning. They dribble urine upon everything on which they walk and so contaminate bulk food stocks and food preparation surfaces wherever they go. Mice produce up to 80 droppings per day. They must gnaw hard surfaces to keep their constantly growing incisor teeth short. They damage electricity cables, lead pipes, wood, plastic and wet cement.